Lee Savage – How do president’s influence coalition bargaining in semi-presidential systems? This is a guest post by Lee Savage in the Department of European & International Studies at King’s College London. It is based on his article in European Journal of Political Research. Presidents in semi-presidential systems usually have a constitutionally prescribed role in the government formation process. Often, this is limited to the ability to appoint either a formateur or candidate for prime minister who will then go on to form a cabinet which must maintain the confidence of the legislature. In some countries, such as Bulgaria and Ireland, even the power to appoint a prime minister is limited by constitutional requirements to select the leader of the largest party in the legislature. Even though the constitution may define a limited role for presidents role in government formation, they can still exert influence over the cabinet that eventually takes office. Previous research has shown that presidents can influence the composition of the cabinet by increasing the proportion of non-partisan ministers that are appointed. In some circumstances, presidents can also increase the likelihood of a cabinet leaving office prematurely. In new research, I have shown how presidents influence the coalition formation process itself by decreasing the duration of bargaining negotiations. The duration of the government formation process can have significant consequences for a state. For example, the 541-day bargaining process experienced by Belgium between 2010 and 2011 resulted in the legislature’s failure to pass a budget which, in turn, led to an official rebuke from the European Commission. However, it is notable that there are few examples of protracted coalition bargaining processes in semi-presidential systems. But is this a result of presidential influence, and if so, then how is this influence exerted when cabinet formation is usually the preserve of the legislature in semi-presidential democracies? I argue that the influence of presidents on the duration of coalition bargaining is a result of first, the extent of their constitutional powers and second, their partisanship. The constitutionally-mandated powers of the president increase their legitimacy to intervene in the government formation process. More powerful presidents are seen as possessing greater legitimacy to act in the eyes of other actors in the process, specifically, the legislative parties. This legitimacy to act decreases the duration of the coalition bargaining process by reducing its complexity. More powerful presidents place implicit limits on the range of governing proposals that are acceptable to all politically relevant actors in the process. Presidents with stronger non-legislative powers, such as the power to appoint the prime minister, dissolve the cabinet, or dissolve the assembly can intervene directly in the process of government formation. The legislative parties will seek to propose a cabinet that is more acceptable to the president and reduce the likelihood that they will use their dissolution powers. Presidents with stronger legislative powers also reduce the complexity of the bargaining process. Presidents are co-executive actors in semi-presidential systems and will govern alongside the cabinet as both try to satisfy the policy preferences of their voters. Rationally foresighted parties in the legislature will understand this and seek to limit their proposed cabinets to the set that can govern in relative harmony with the president. If a cabinet is appointed that has a completely divergent legislative agenda from that of the president then it increases the likelihood of conflict between the president and the legislature. Presidents can use their powers of veto or delay to disrupt the government legislation, or generally act to impede the cabinet’s legislative agenda as was the case during the period of cohabitation in France between 1986 and 1988. In sum, when presidents have greater powers the range of potential governments is reduced to the set that will be more likely to be stable and are able to implement its legislative agenda. The chart below shows the effect that presidential powers have on the likelihood that coalition bargaining will end on a given day. At low levels of presidential powers (those that receive a score of 2 on the Shugart-Carey index) the likelihood of coalition bargaining ending sooner is increased by around 50 percentage points in semi-presidential systems. However, when presidents are more powerful (those that receive a score of 8) the likelihood of government formation ending sooner is increased by 120 percentage points. Simulated marginal effect of semi-presidentialism on the hazard of coalition bargaining ending, conditional on presidential powers. Note: Results are taken from model three of Table 1. Graph is based on 1,000 simulations. 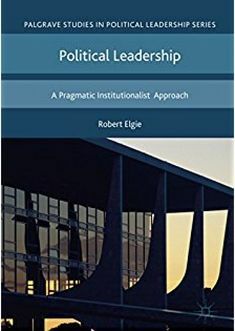 Some studies of semi-presidentialism, particularly those that examine cabinet composition, begin from the premise that the president has both a mandate and preferences that diverge from those of their party. This is apparent in those studies which view the appointment of non-partisan ministers to the cabinet as an indicator of presidential influence. Others have argued that presidents have large incentives to act in a more partisan manner. Party organisations provide campaigning support for presidential candidates and presidents that have a base of support in the legislature are more likely to be able to fulfil the policy preferences of their voters. In some instances, it has been argued that legislative parties in semi-presidential systems have become ‘presidentialised’ with the presidential candidate able to set the agenda for the party as a whole. Following the presidentialisation logic, it can be argued that the president will be more likely to see a cabinet proposal that includes their party as more acceptable than one that doesn’t. Other rationally foresighted parties in the legislature will also concede that such a proposal is more sustainable if it avoids a period of unstable cohabitation. The complexity of coalition bargaining will therefore be lower when the president’s party holds a stronger bargaining position in the legislature. When the president’s party is a member of a greater proportion of minimal winning coalitions the range of governing proposals that are acceptable to all politically relevant actors is more easily identifiable. Therefore, when the president’s party holds a stronger bargaining position, the duration of coalition bargaining will be reduced. Simulated marginal effect of semi-presidentialism on the hazard of coalition bargaining ending, conditional on the bargaining power of the president’s party. The chart above shows the effect of semi-presidentialism on the duration of coalition bargaining, conditional on the bargaining power of the president’s party which is measured by the Shapley-Shubik Index (the SSI indicates the proportion of minimal winning coalitions in the legislature to which the president’s party is pivotal). As is clear from the chart, the likelihood of coalition bargaining ending sooner rather than later increases along with the bargaining power of the president’s party. To give an example of this relationship, in Poland, the first government to form after the inauguration of the SLD president, Aleksander Kwaśniewski, was an SLD-PSL coalition that took just 12 days to negotiate in 1996. The SLD’s bargaining power was 0.41 on the SSI at the time, meaning that it was a pivotal player in around 41 percent of possible coalitions. Following the 1997 general election, the SLDs bargaining power was reduced to 0.22 and government formation lasted 40 days resulting in the formation of an AWS-UW coalition. The results of my research point to the systemic influence of semi-presidentialism on the duration of coalition bargaining. Presidents with greater powers can wield more influence over cabinet formation and other parties in the system adjust their own behaviour and expectations to account for presidential preferences. A further implication of the study is that presidential partisanship matters. Contrary to some studies which assume presidents are almost non-partisan actors, the results presented here indicate that presidents have an interest in seeing their parties succeed and are willing to act to facilitate their success. This entry was posted in Europe, Semi-presidentialism and tagged coalition government, semi-presidentialism on September 20, 2017 by Robert Elgie.